Only read a few selections for a class on al-Andalus. Very comprehensive group of primary sources. 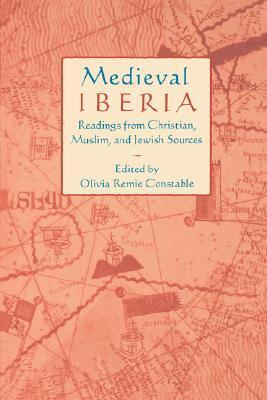 A comprehensive, deep, and engrossing collection of primary-source writings from medieval Spain, with an emphasis on equal treatment of Jewish and Muslim works beside the more commonly studied Christian ones. That said, the lion's share of these texts are still Christian ones and pretty much what one would expect for this period. Still, it would be difficult to find a better collection in a single-book anthology. A very nice book! I will give you a first-hand account of what was life like in the middle ages, particularly in Spain..
An excellent collection of documents. A must-have for all students of medieval Iberia.